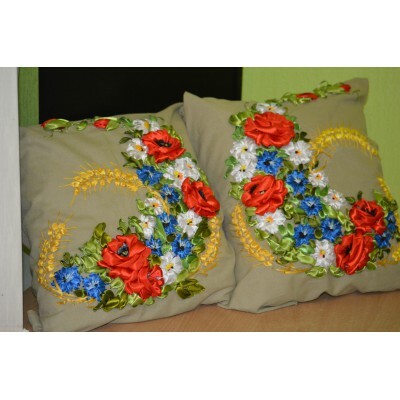 Handmade pillow covers in Ukrainian style. 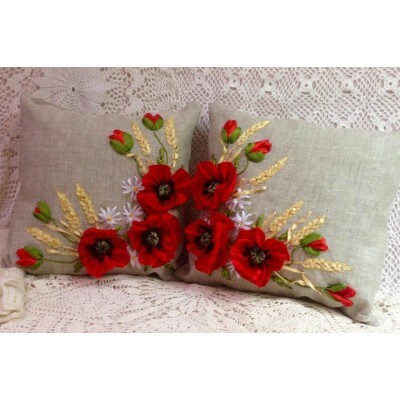 Set of 2 Embroidered Pillow Covers "Prosperity"
Handmade pillow covers of gray linen with ribbon embroidery. 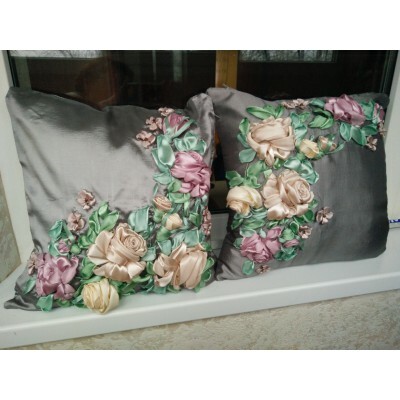 Sizes of pillow covers we will make as ..
Set of 2 Embroidered Pillow Covers "Rose Dew"
Handmade pillow covers of gray organza with ribbon embroidery. Sizes of pillow covers we will make a.. 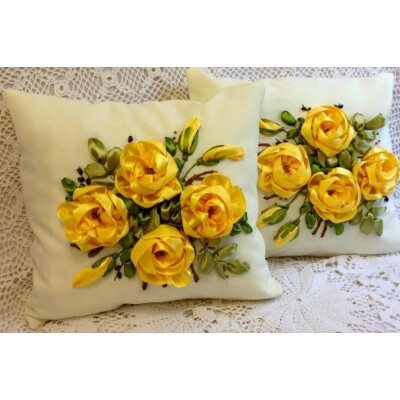 Handmade pillow covers of natural linen with ribbon embroidery. Sizes of pillow covers we will make ..